There are a variety of waterfalls throughout Yosemite National Park in California, USA but Bridal Vail Falls are amazing to see. Bridal Vail Falls in Yosemite National Park in California, USA crashes over the peak of the cliff as the mist and spray fill the atmosphere surrounding the falls. Bridal Vail Falls is the second largest set of falls in Yosemite and watching the power of the water as it descends to the rocks below is spectacular. 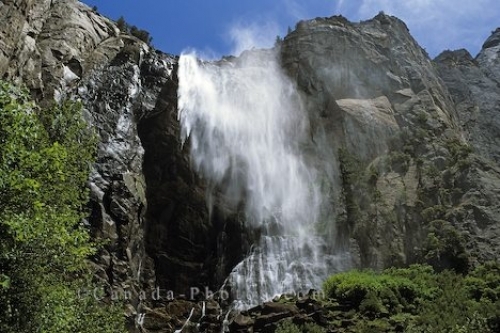 Picture of Bridal Vail Falls crashing over the cliff in Yosemite National Park in California in the United States.